Jim Cicchese serves as a realtor with COMPASS, a luxury brokerage that stands out as one of the fastest growing real estate firms nationwide. In his work with the real estate firm, Jim Cicchese draws on diverse experience in assisting homebuyers in California. In the state of California, a resource known as the MyHome Assistance Program allows homebuyers to borrow funds for a down payment. Borrowed funds take the form of a junior loan with a deferred payment format and can total up to 3 percent of a home’s appraised value or purchase price. 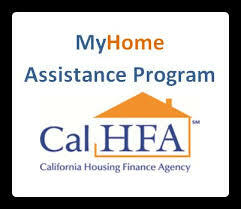 Neither the sale price nor the borrower’s income may exceed the limits in place under the California Housing Finance Agency (CalHFA), which must serve as the mortgage lender for a MyHome Assistance Program participant. Each participant must be a first-time homebuyer seeking to purchase a single-unit residence, though in-law apartments and related units may qualify. The borrower must agree to occupy the unit as his or her primary residence and must complete a homebuyer education counseling program through an eligible organization. The program also requires that the borrower meet all requirements set by the lender and insurer or guarantor of the mortgage. An experienced Realtor who has worked for multiple real estate agencies in California, Jim Cicchese builds upon 27 years of experience with the Westlake Village office of luxury brokerage COMPASS, one of the fastest-growing real estate firms in the country. Jim Cicchese holds active membership in multiple industry organizations, including the Southland Regional Association of Realtors (SRAR). Billing itself as the “voice for real estate” in the Santa Clarita and San Fernando Valleys, SRAR is a group of roughly 9,500 Realtors that offers a wide range of member services and promotes the best interests of the real estate profession in general. It also sponsors a variety of industry events, such as Commercial Day – The Future of Commercial Deal Making. Commercial Day took place on August 10, 2017, at the SRAR Auditorium in Van Nuys. This event centered on the evolution of the buying and selling of commercial property throughout the region. In addition to its panels and roundtable discussions, it featured a range of targeted speeches, including a keynote address by Eric Paulsen, senior vice president of the online real estate transaction platform Ten-X. A graduate of Ohio State University, Jim Cicchese obtained his real estate license in 1988 and currently works as a realtor for Keller Williams Realty Westlake Village in California. When not engaged in the buying and selling of real estate, Jim Cicchese enjoys mountain biking, especially in Cheseboro Canyon. 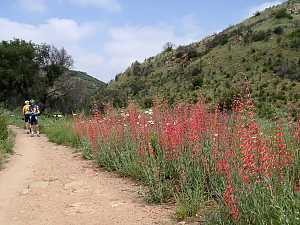 Also known as Cheeseboro Canyon, Cheseboro Canyon is suitable for all levels of mountain bikers. Situated in Southern California’s Agoura Hills in the northern section of the Santa Monica Mountains, its network of trails that run throughout the canyon were used in the 18th century by cattle ranchers. Today the area offers riders stunning scenery along grasslands found near the main roads. Further inland are single-track trails, which are suitable for more advanced riders. Recent additions of land parcels on the eastern and northern sections provide more technical riding options. Riders wanting to trek through the eight-mile trail should start at the dirt parking lot at the end of Cheseboro Road, as the ideal route goes clockwise from there. A map station is located across the parking lot for those not familiar with the area. Since it is a popular area, riders should remain cautious when traveling through the canyon. Equestrians use the trails often, so all users should be respectful of each other. As a Realtor with Keller Williams Westlake Village, Jim Cicchese facilitates the purchase and sale of residential properties. In this role, Jim Cicchese draws on more than 28 years of experience in working with homeowners. Purchasing a home requires both mental and logistical preparation. Financially, the buyer’s first job is to determine the price range, which is generally restricted to 30 percent or less of the person’s gross monthly income. The individual must have money for the down payment, which generally ranges from 3.5 to 20 percent of the home’s total cost. Buyers also must make sure they have enough money for closing costs. Lenders typically need to see evidence of an individual’s ability to meet the financial obligations of homeownership, so potential homebuyers will have to collect certain bank and tax documents. This should be part of a process in which the borrowers investigate different mortgage options, such as adjustable-rate or fixed-rate loans. The type of mortgage will depend largely on the buyer’s financial needs and responsibilities, while the selection of the property itself centers on the individual’s personal preferences. A home is a very personal choice and requires an in-depth look at the features of the property and the neighborhood. By visiting the property at multiple times of day and talking to the neighbors to get a feel for the neighborhood, buyers can determine if a house is not only affordable but livable. As a REALTOR® with Keller Williams Westlake Village in California, Jim Cicchese draws on more than 28 years of experience in real estate. Jim Cicchese facilitates the buying and selling of residential properties, including condominiums. If you are planning to sell your condominium, one of the first things that you will need to do is to make it appealing to the discerning buyer. This means investigating the market to find out what amenities tend to get the most attention in your particular area, either by perusing listings or by asking a real estate professional. This will help you decide what features to highlight in your own listing. Market research can also help you to determine how to price your condo. Units that cost significantly more than similar properties are likely to remain on the market for longer and ultimately drop quite a bit in price. A real estate agent experienced in selling condominiums can help you to competitively price your unit, while also taking charge of marketing and interacting with buyers. The agent can also give you expert advice in the staging of your condominium. For most owners, this involves removing personal items like family photos, so that the potential buyer can envision his or her own life in the space. The owner should also ensure that the home is in good repair, both to create an appealing experience for the buyer and to prepare for the eventual pre-sale inspection. With his long career in real estate spanning nearly 30 years, Jim Cicchese currently works as a Realtor with Keller Williams Westlake Village, where he served on the Keller Williams Agent Leadership Council in 2013 and 2014. On his website, Jim Cicchese stresses the importance of home buyers understanding the buying process to help them make sound decisions. One key component in the home buying process is applying for and getting a mortgage, which can be tougher for younger, first-time home buyers, who generally have lower credit scores. Fortunately, you do not need an “excellent” credit rating to get decent mortgage rates. FHA loans, backed by the Federal Housing Administration, often provide buyers with a 580 credit score or above 100% financing with a down payment as low as 3.5 percent. FHA loans are even available for those with a rating ranging from 500 to 580, though with a higher down payment of 10 percent. For first-time buyers with slightly higher credit scores, the Fannie Mae HomeReady mortgage provides another option with 100 percent financing and a low down payment. For this loan, buyers should have a credit score around 620 or above. Conventional fixed-rate mortgages might be harder to get, typically requiring scores on the higher end of the credit rating spectrum, at around 740. That said, other factors like solid employment history, good income, low current debt, and a sizeable down payment can all help your chances. 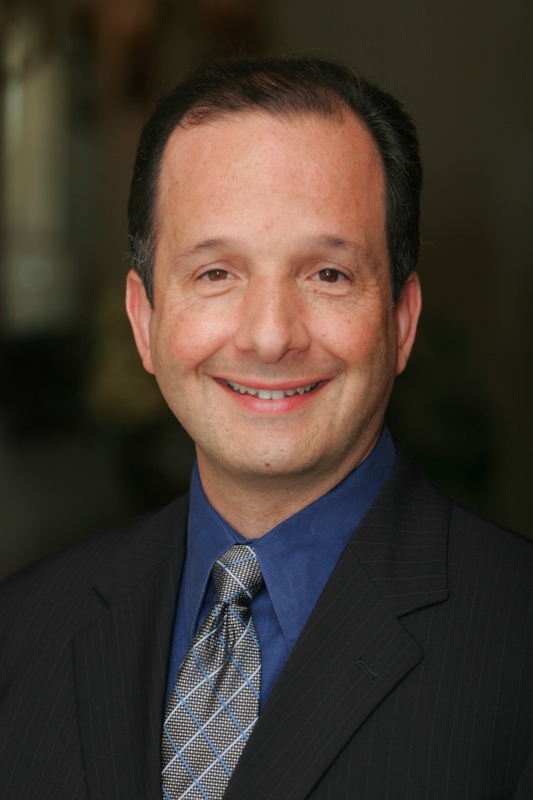 A Realtor in California with 28 years of experience, Jim Cicchese serves clients at Keller Williams Westlake Village. When away from work, Jim Cicchese enjoys traveling up the California coast and particularly likes visiting Monterey. – Monterey Bay Aquarium. Located at the old Hovden Cannery right on the edge of the bay, the Monterey Bay Aquarium gives visitors a glimpse of the diverse array of marine life that flourishes in Monterey Bay. – Point Lobos State Natural Reserve. Located south of Monterey, the Point Lobos State Natural Reserve features granite cliffs, caves, rock-enclosed ponds, and unique rock formations formed by erosion. – Carmel-by-the-Sea. A small beachside village south of Monterey, Carmel-by-the-Sea offers visitors an extensive dog-friendly beach ideal for taking in the sunset. The village also attracts visitors to boutique shops and restaurants located on its famous Ocean Avenue.